When I walked back to the car, I noticed a small pool of green coolant on the driver'* side, near the tire and right below the petcock value. I popped the hood to find that my overflow tank was almost empty. I took off the lower splash guard and checked the petcock valve, checked all of the visible hoses, etc. Nothing seemed amiss. Not seeing any problems, I poured in most of a bottle of drinking water to see if any more fluid would leak out, and it didn't. So, I poured coolant up to the "full hot" line. That was sixty miles (seven hours) ago, on a hot and humid New England day; at no point before and after was the engine temperature above 200 degrees. Not another drop has leaked out since. As much as I'd like to say that this was a one-time freak occurrence, my intuition tells me that this is a warning sign for something…*but what? Any ideas? For what it'* worth, I had the upper intake manifold replaced 20,000 miles (one year) ago after the engine hydrolocked. I flushed the radiator (myself!) 5,000 miles (three months) ago. Since the UIM replacement, it stopped "drinking" coolant. So about your coolant leak.....its quite possible that you may have just parked over a leak from somebody else'* busted ride....maybe...its happened to me before. you go somewhere and park in a parking spot and when your coming back to your car you see a whole bunch of nasty fluids under your car thinking OMG! As far as the coolant being really low in you over flow tank, its also possible that when you flushed the coolant not that long ago that you had air pockets caught in your system and they have all worked them selves out causing your over flow tank to be really low. Mind you this is all just speculation so to be on the safe side, continue to monitor the situation keeping an eye on your fluid levels and paying close attention to your oil and how it looks. What color coolant did you go with after the intake change and coolant flush? Did you install the lower intake gaskets with the metal in them or rubber? Has this ever been done on your car before? Nah, she says that she looks fat. I think it'* great, though. No, this was definitely from my ride. The splash guard had a decent amount of coolant in it. When I pulled it down, there was a brief waterfall. I didn't change the lower intake manifold at all. When I flushed the radiator, I used 100% green coolant, as the bottle said not to add any water. If you have time, swing by this week and we can look at it. From what you say, I'd suspect a crack in the sidetank of the radiator, bad petcock seal or something else small. The endtank crack can usually seem intermittent at first and drive ya nuts. The tank isn't leaking. There wasn't any coolant visible under the hood at all. Regardless, I'm available this week. PM me and we'll see if we can meet up, and possibly exchange car service for a six-pack of your beverage of choice. After five hours of being parked in the sun, I came outside to find it slowly leaking again, mostly under the petcock valve. It was only down to a hair below the full cold line. Sorry, I meant the black side tank of the radiator. It'* the part the petcock screws into . I figured it out, Bill confirmed it. Posting here for posterity, in case some poor soul later finds themselves in my shoes. From what you say, I'd suspect a crack in the sidetank of the radiator, bad petcock seal or something else small. The endtank crack can usually seem intermittent at first and drive ya nuts. An endtank crack it was. I happened to have the airbox out and I noticed coolant dripping down the length of the radiator. Nothing that can be done but a radiator replacement. To save money, a water/coolant mix can be used, or just straight water. Common sense: Bonnevilles have a factory thermostat of 195°F. Water boils at 212°F. An engine stuck in traffic may get up to 225°F on a scorching day. Boiling and evaporating coolant is bad. Hydrometers are our friends. Right but, the cooling system is under presure. when a fluid is under pressure, the boiling point increases, if the pressure is decreased (or sucked to a vaccume) boiling point deacreases. so, in a system with 0 pressure, a waterless coolant system will have a boiling point of about 360 deg F. Now add water and to make it a 50/50 mix and the boiling point for the coolant decreases, but the boiling point of water increases. so, add pressure to that. for every pound of pressure added to the mix, the boiling point is increased by 3 deg F. so for example, you have a 50/50 mix of coolant to water and the boiling point may be 250 deg F., and you have a radiator cap that is rated for 13lbs. now you multiply the 13 lbs by the 3 psi you get per pound and you add that to the boiling point so the end result will be a boiling point of 289 deg. F.
Now, you lose pressure from a crack in the tank or a bad cap, but you still have the 50/50 mix pressure may still be at maybe 5 maybe 6 psi or maybe non at all, but because you dont have just water in the system, the mix will not boil at 212 deg. now, it was designed this way though because engine can get very very hot like 500 deg hot, so, they designed coolant to aid in the cooling factor. it will absorb and desipate more heat than water. but, it is also very corrossive and can eat away at metal, so thats where water helps it. Now engineers felt it was safer to allow an engine to run in the 200'* just because they know about the properties of the system and all the other stuff in coolant/ antifreeze, but because they also know about the integrity of metal under heat, they dont want to run an engine at 300 deg if the lifespan is going to be 20K miles. so it all comes full circle in the end. Sorry, i was babbling again ,wasnt I?? I made myself stop i swear. Oh, no. It'* been a few years since I got a C in high school chemistry. That was a good refresher. It gives me a little more peace of mind, assuming that the tank is still somewhat pressurized. 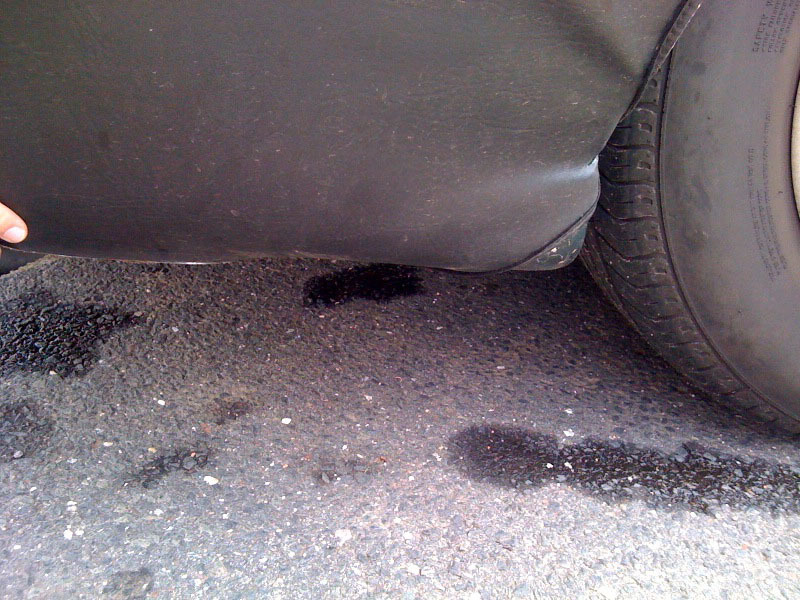 Quick Reply: One-time coolant leak?